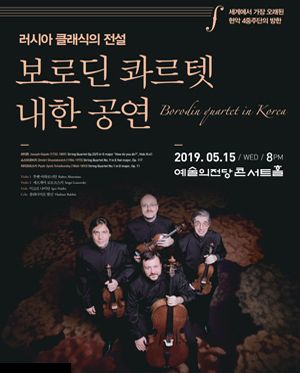 [Program] 하이든 Joseph Haydn (1732-1809) 현악 4중주 G장조 Op.33 No.5 ‘How do you do’ String Quartet Op.33/5 in G major `How do you do?`,Hob.III:41 쇼스타코비치 Dmitri Shostakovich (1906-1975) 현악 4중주 9번 E 플랫 장조 Op.117 String Quartet No. 9 in E flat major, Op. 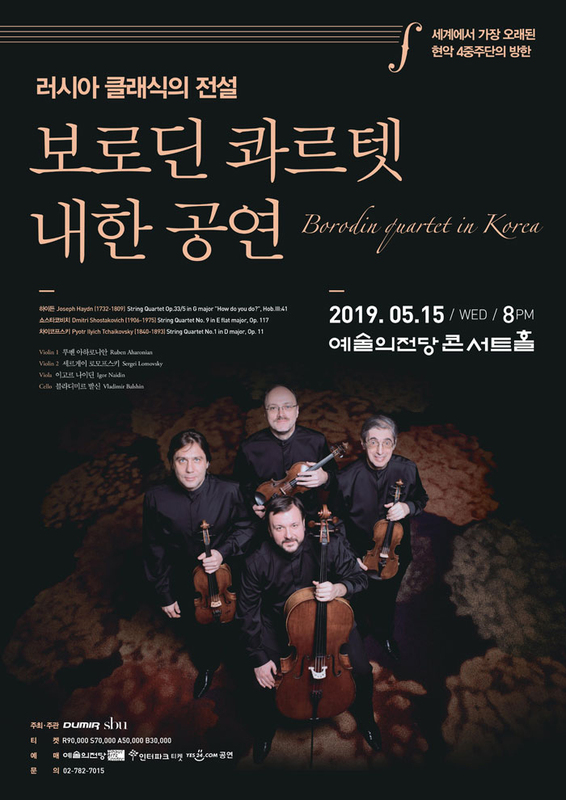 117 Intermission 차이코프스키 Pyotr Ilyich Tchaikovsky (1840-1893) 현악 4중주 1번 D장조 Op.11 String Quartet No.1 in D major, Op. 11 ※ 프로그램은 연주자의 사정에 따라 일부 변경될 수 있습니다.